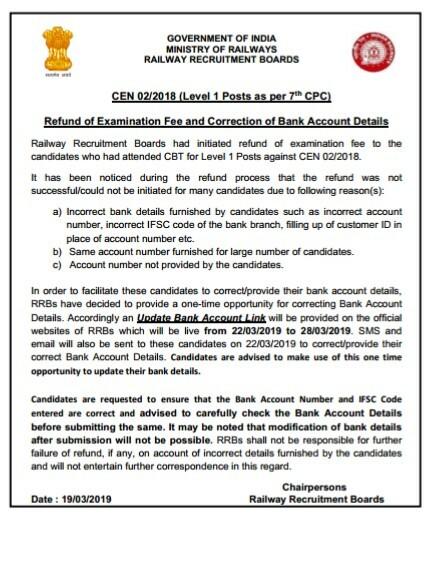 Hello Reader, RRB has released an Important Notice for Railway Group D Exam 2018 CEN 02/2018 about Money Refund and Bank Details Correction. Candidates are requested to Download this notice from the below link. 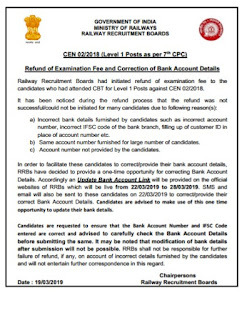 Click Here Important RRB Group D Notice For Money Refund & Correction Bank Details.